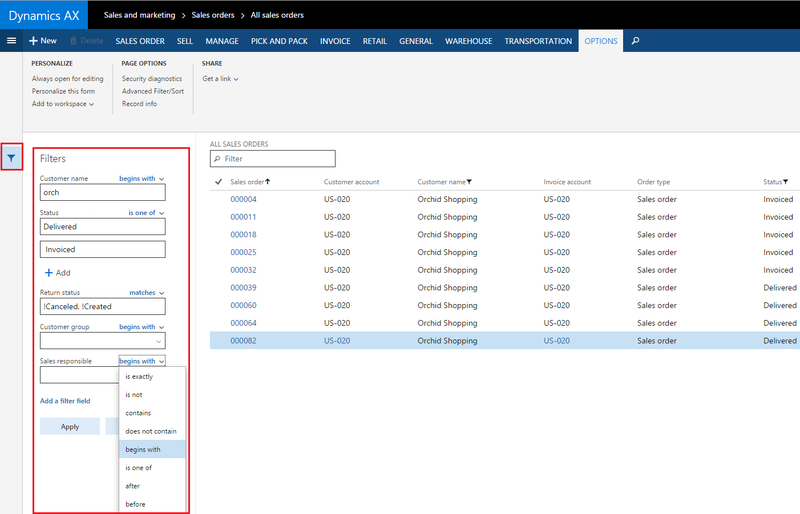 In this post, I will cover seach and filter options provided in new Microsoft Dynamics AX. Click on the page you want to explore, you will be redirected to that page. Action search is placed in the action bar of the form. This can be used to search any action to perform on the opened form. As shown in below screenshot, To post/generate packing slip/invoice I typed "generate" and I got all the actions of posting. This is a quick way to find an action and get around multiple mouse clicks. Quick filter is placed just above the grid showing the details of form. As shown in the below screenshot, you can search for particular record. As you start typing, look up will show on which filed the filter should apply. 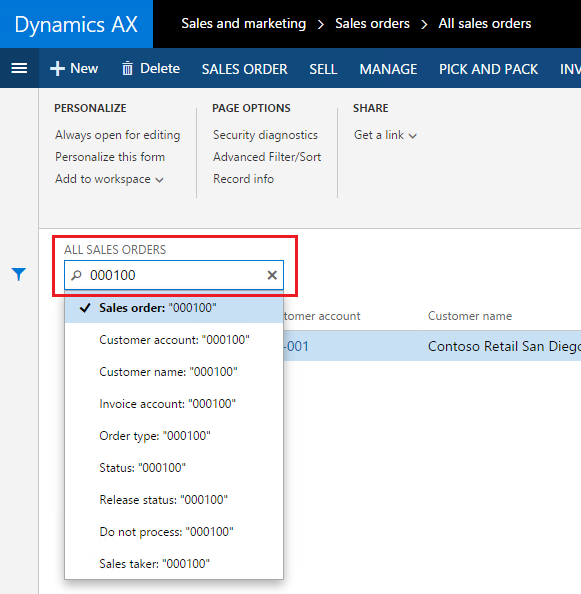 I have applied "000100"on sales order, similarly I can filter on customer name/account etc. 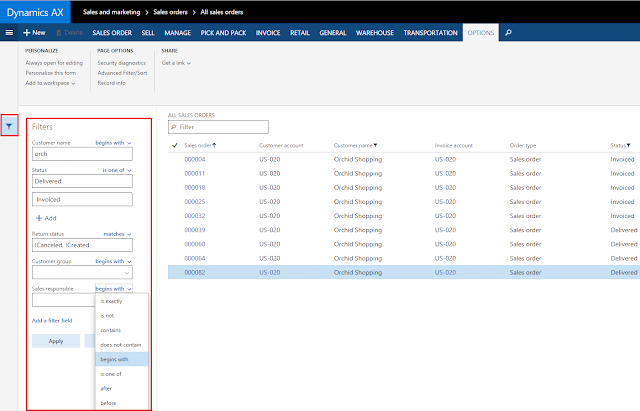 As shown in the above screen, for different data types you get different criteria options. e.g. For "Option" type you get lookup, for "Text" type you get criteria like 'contains, after, before' and more.